Northern Ireland is an often overlooked travel destination despite its relative proximity to large swathes of mainland England and the low costs of Ferries and planes. A trip to Northern Ireland is a trip to a land of beauty steeped in a rich yet turbulent history. If you’re planning a trip check you have travel insurance that covers multiple trips – as although you are still in the UK; travelling can still expose you to petty crime and the like. Flights to Ireland generally arrive in Belfast s this seems a fitting place to start our guide. Belfast is a magnificent city that is incredibly easy to navigate thanks to being spit into 4 distinct quarters – The Titanic Quarter, The Cathedral Quarter, Queen’s Quarter and The Gaeltacht Quarter. Our favourite place to start tour is Belfast castle. Belfast castle is as much stately home as a traditional castle being built in 1860. The building itself is stunning but the gardens are the real draw with beautiful lawns and immaculately kept flower beds. From here we head for a stroll through the cities quarters enjoying the curious mix of Georgian, Victorian and Edwardian architecture still on display in many locations. 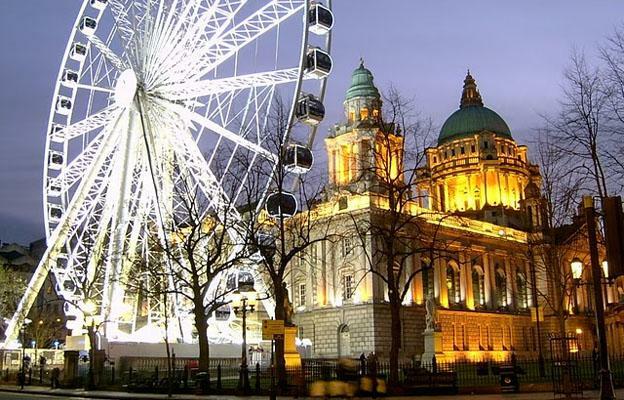 Top attractions on this tour are the beautiful Belfast City Hall, the Grand Opera House and Queen’s University. 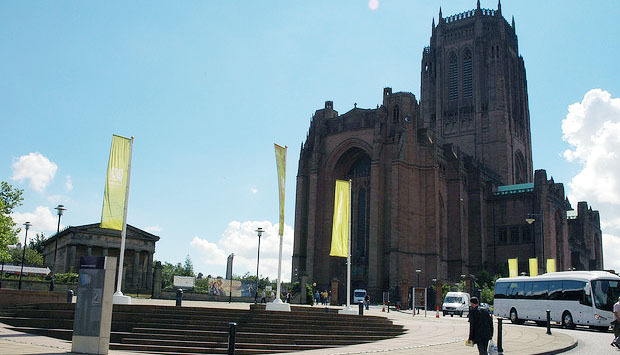 However the second real highlight is the cathedral which, though relatively modern, is intriguing in respect of Northern Ireland’s religious history. Finally we would head to the Titanic’s Dock and Pump house where you can experience the rich history of the docks that made Belfast the city it is today. Having enjoyed these sites we would recommend heading to cities museums. The Ulster Museum should be your first port of call as it offers a fantastic look into the history and industrial heritage of the city and wider region. It is an interestingly positioned museum with references to the British impact on the country being interestingly handled to say the least. Finally no trip to Belfast would be complete without sampling the cities fine foods and fantastic shopping opportunities. Belfast boasts some of the finest dining in Western Europe and we would highly recommend splashing out on a fancy meal in one of Belfast’s top restaurants. 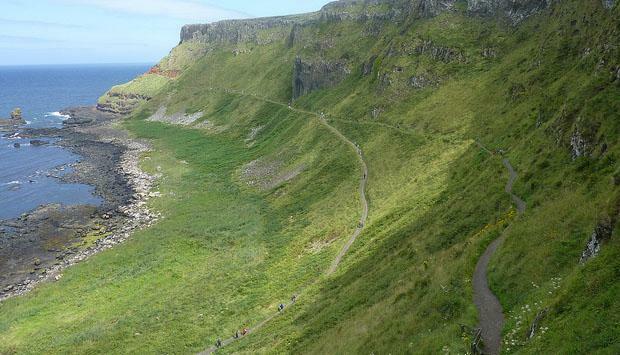 From Belfast we would take the coastal road towards the Giant’s Causeway. 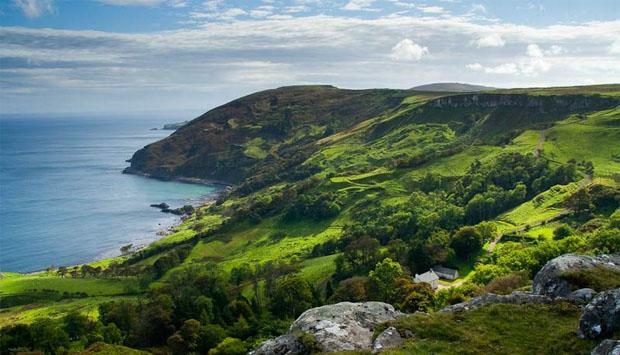 The coastal road is beautiful with a series of fantastic views and tranquil villages. The first port of call is Carrickfergus with its well preserved medieval castle making a fine contrast to Belfast’s own. A few hours investigation is very rewarding with the history being incredibly interesting. From here we head to Bushmills and the Giant’s Causeway. The Giant’s Causeway is possibly the finest sight Northern Ireland has to offer with the Causeway itself stretching out across the sea. You have two main options here (though if you are physically fit you can do both) either you can walk down to the causeway itself or you can take the spectacular cliff walk which offers you a fantastic view of the causeway and on a clear day a beautiful view across to the coast of Scotland. From here we would continue our tour along the coast road towards Derry. Along the way you can stop off at Dunluce castle and the famous white rocks. The castle is interesting though not spectacular but the white rocks are brilliant with swept caves and arches littering the rock formations. When you arrive in Derry take an evening stroll along the cities walls before catching diner in one of the fine restaurants. Finally we head to Armagh and the stunning Anglican cathedral. On the way a stop at the Marble Arch caves is rewarding for their natural beauty. From here you can explore the fine countryside or head to one of the peaceful beaches on the coast. With so much on offer we would heartily recommend at least a full week’s visit so book your flights now and have fun. Mike the author of the “Travel to Northern Ireland for a short UK break” is a travel writer for sites such as travel insurance web, covering worldwide destinations, budget travel and tips on how to find the best deals on your holiday.